Dust off your distortion pedals as TG introduces a new guitar grade series that starts with some Pantera-style metal! Download Total Guitar issue 240 for the accompanying tab and explanation - available in the UK and, digitally, worldwide via Newsstand for iPad, iPhone & iPod touch and Zinio from 15 April 2013. 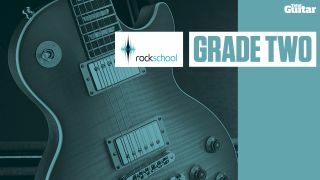 You'll find the full track, backing track and tab for Rockschool's Grade Two piece, Bonecrusher, below. Clicking on the links will stream the audio/open the tab. Alternatively, you can download then all by right-clicking and choosing 'save as' or 'save target as', depending on your choice of browser.